Several years back I went to Salem, MA during October without really thinking what I was doing. Salem was the host of the infamous Salem Witch Trails in 1692 and 1693. I found it very ironic how all the museums really made a point to prove that these people who were getting accused of witchcraft actually were not witches at all! On the other hand, those same museums would offer tours of Salem led by “real” witches. It just seemed weird to me. Many people are really scared about witches, demons, and monsters in general. I can’t say that I am. Sure I get the jitters after a scary movie like the next wimp, but that is because my senses have just been bombarded by Hollywood and that is scary in its own way. I guess you can call me a demonic skeptic. Hmm…that didn’t come out right did it? Let’s try again. You can call me a skeptic of demonic power. I guess that sounds a little bit better. 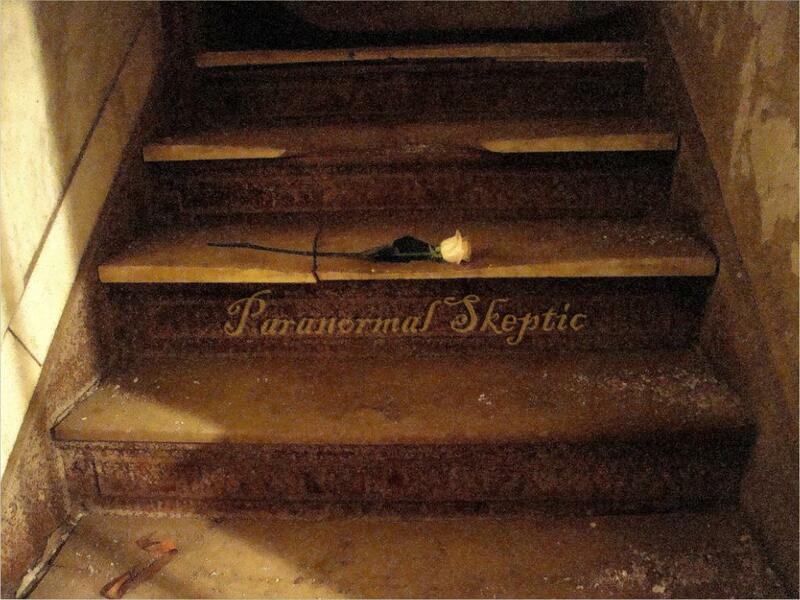 Better yet, you could call me a paranormal skeptic. I am skeptical of the paranormal. I’ve always heard about seances, horoscopes, Ouija boards and other things that supposedly were works of demonic power. Others would rail against about other occult powers such as astrology, telepathy, telekinesis, tarot card, cold reading and astral projection. When I was a teenager I became fascinated with magic. I would spend hundreds of dollars every month purchasing a variety of magic tricks and illusions. Since I love to read I have read dozens of books on literally every aspect of magic from stage illusions to coin magic and from fire manipulation to seances. Through all of my reading I stumbled upon an old book called “Miracle Mongers and their Methods” written by the Godfather of Magic, Harry Houdini. Most people knew Houdini for his famous escapes, however he was also an accomplished magician. Later in life he started exposing the occult so that people could see it for what it really was…trickery. He felt that spiritualists, fortune tellers and other psychics gave magicians a bad name. Why? Because they would use trickery to deceive people but claim supernatural power. Houdini knew better. Harry would sometimes dress in a disguise and go to seances only to completely expose the host as a total fraud. He even went so far as to offer a cash reward to anyone who could demonstrate supernatural power. He never paid the reward although many tried to claim it. After Harry’s death the cause was picked up by many other magicians like: The Amazing (James) Randi, Criss Angel and Andre Kole. All of these magicians have offered cash rewards, up to a million dollars, for anyone that can demonstrate any evidence or paranormal activity. The reward money has never been paid. Andre Kole is a world-renowned master illusionist who has designed many amazing illusions that have even been used by David Copperfield. Andre is a believer in Christ and I had the pleasure of speaking with him on the phone once regarding an illusion I was designing. He has written extensively on the topic of paranormal and how these psychics and nothing more than fakes! However, he does believe in the REAL power of God and that Jesus demonstrated the supernatural in a truly powerful and amazing way! Horoscopes. Seances. Fortune telling. Psychics. Fake. Palm readers. Tarot cards. Fortune cookies. Fake too…maybe not the fortune cookies, they might be real. Jesus? Real. Biblically we read in Isaiah 14:16 that we will look at our enemy and wonder if this could really be the one that made us tremble so much. In 1 John 4:4 we read that if we have put our trust in Christ that the One in us is FAR greater than anything else in the world. The only power that the devil has over us is in the thoughts that he can plant in our mind! Thoughts of fear. Thoughts of temptation. In 1 Timothy 1:7 we see that God hasn’t given us this spirit of fear, but of POWER! Fear is a controlling force in our mind. This is why great magicians have stood up over the year to help to fight against the charlatans who try to rule by fear. If they do have something in common with the devil it is NOT an real power, it is simply the ability to lie and to instill fear into people! Whenever I talk about these things, undoubtedly many people will disagree. Many people even claim to have seen paranormal things with their own eyes. They just don’t realize how deceptive our enemy can be, how deceptive our own eyes can be and how memories exaggerate over time. There is real power, God has it. Don’t be fooled by imitators. Yeap. I must agree. Back a few years ago I had a women’s group. All but 2 of the women in my group read horoscopes and oh how it shaped their days. So I took one of those 1 scripture a day calendars and put them all in a hat. I challenged the women to pull one out everyday and use that as their horoscope. The response was more than I could have imagined. Each woman found that each day they either had something to look forward to or a “challenge” to better themselves. Each realized that the “horoscopes” were nothing more than a folded up piece of paper pulled out of a hat. A second plus was many of the women started to read either a devotional or their bible each morning as they enjoyed the difference of perspective.